Ultra-comfortable, this Polartec Power Stretch pullover provides warmth for the mountains and a subtle, heathered design for sophisticated style. 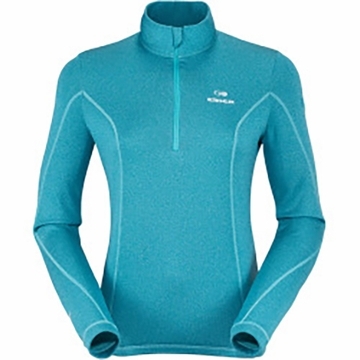 The Wonder 1/2 Zip will be your go-to for mid-weight warmth, its versatility and comfort unrivaled. Soft and uber stretchy Polartec Powerstretch quickly wicks away moisture, so you remain comfortable throughout your body varying temperatures on the uphill, the downhill, and everything in between. The lighter Thermocheck Knit side panels allow for even more breathability, while the athletic cut provides warmth without bulk all year long.